All photos by Maggie Kimberl. As bourbon’s popularity has soared, so has the consumer drive to have a unique product. There are only so many old dusty bottles to go around, so the next best thing is private barrel selections. Private barrel selections give consumers an opportunity to really appreciate everything that can happen to a barrel of bourbon to make it drastically different from the typical shelf product they are used to. 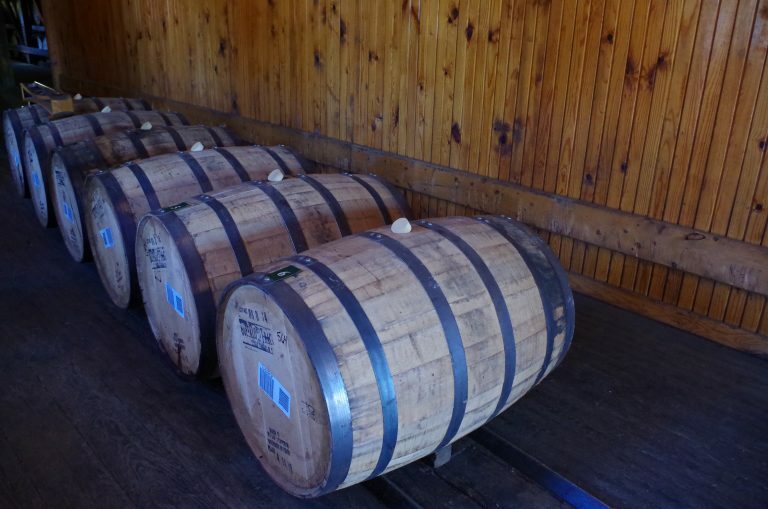 “I want something that is going to be expressive of Buffalo Trace without being exactly the shelf brand,” said Westport Whiskey and Wine owner Chris Zaborowski on a recent barrel pick at Buffalo Trace Distillery. Zaborowski does numerous barrel selections every year for his store, leaving him with one of the largest selections of private barrel bottlings in Louisville, Kentucky. A lot of factors go in to the end product we know as bourbon. The mash, water, and yeast are crucial, of course, but there are also a lot of other contributing factors. Buffalo Trace has three bourbon recipes from which they make over 30 different products labeled as "bourbon." That means differences in warehouses, warehouse location, aging, filtering, proofing, and other factors go in to the basic thumbprint for each product. When you choose a private barrel, you have the opportunity to look for characteristics outside of that typical thumbprint, even though it’s still the same distillate in the barrel. “I think we have a house style now,” he says. “Every once in a while I like to go to the fringe of the house style, but I like to keep it in the house style.” That’s the nice thing about having a favorite retail spot- that retailer knows what his customers are looking for, so while the private barrel is different than the shelf product there is still some consistency from a consumer standpoint. Every distillery does their private barrel selections a little differently. At Buffalo Trace six barrels are lined up in a small room off the side of one of their many rick houses. 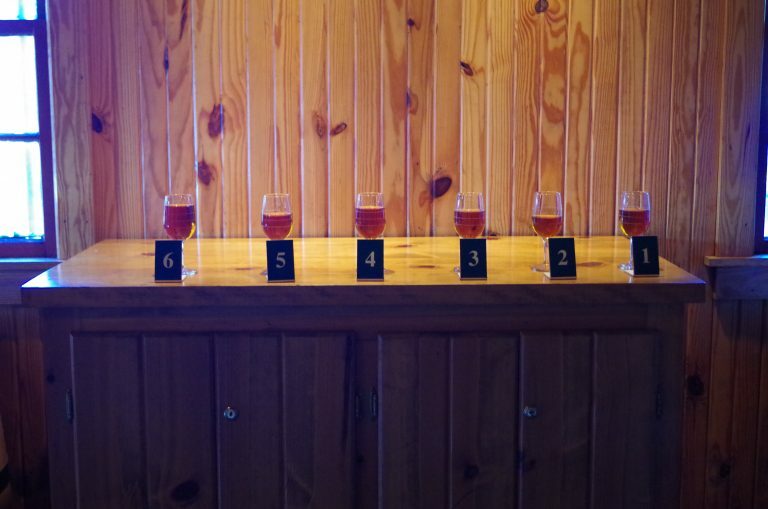 The barrels have been chosen by a tasting panel before the buyer arrives to ensure they are all up to quality standards, and the six barrels we have to choose from were selected at random from a pool of barrels ready to be sold. 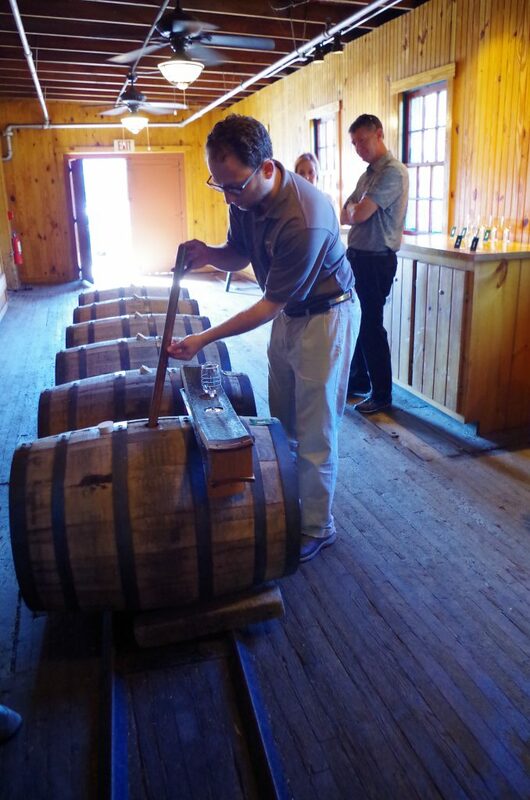 Our host thief samples from each barrel, and each person pours from the sample into a tasting glass. After everyone has had a chance to try all six samples and take notes, an initial vote is taken to determine which three are each person’s favorite. At first vote, Barrel Six takes a landslide victory. That will be Westport Whiskey and Wine’s selection, available in November. The second barrel, this one for The Louisville Bourbon Society, is a tossup between Barrels One, Three, and Five, and eventually between Three and Five. There’s gridlock, so our host suggests removing ourselves from the room while he prepares blind samples. Three wins by a narrow margin and will go to The Bourbon Society. “I always try to find something that speaks to me right away,” says Zaborowski. The difficulty comes from the fact these are all great barrels of bourbon. You are choosing for particular characteristics that are more present in one or the other, depending on what your consumers want. Plenty of good bourbon gets left behind.